We wanted to do something different, with a device that is new to both of us. Kittens are falling from heaven, but they are fragile creatures and can not handle long drops. 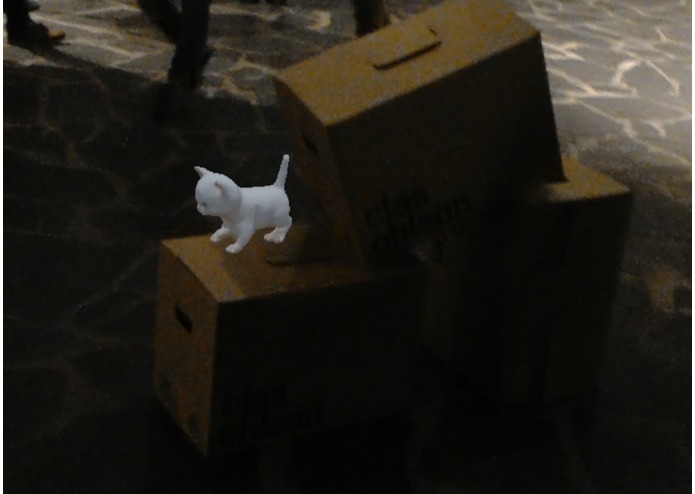 You need to create a safe route for the kittens - out of real-life objects! Unity luckily supports Hololens, so we went the easiest route. Hololens creates all the collision geometry for us, so the levels are created 100% by the player as he/she plays. Getting new hardware to work always takes time, it took us the whole of Friday evening to get things sorted and something to show up on the device. The iteration loop with Hololens is quite slow, you need to build fron unity and then deploy from Visual Studio. Doing something new, something which seems to intrigue people. The scope of work was planned well, i.e. conservative enough, so we made what we planned to.